Myrna Loy is one of my favorite stars. I was thrilled to find this book. So why haven't I read it? I think maybe I was a bit too excited about it and afraid it wouldn't be as cool as it looked. But this is Myrna, a certain amount of coolness is built in. Every time I see a Ginger Rogers movie, which is often, I think about how little I know about her. I've gotten the odd crumb of information from time-to-time over the years, but I know there's more to this woman than fabulous, late life appearances on Love Boat and gossip about her partnership with Fred Astaire. Same thing here. I always see McDaniel in movies. She was everywhere, though at the same time there was never enough of her. 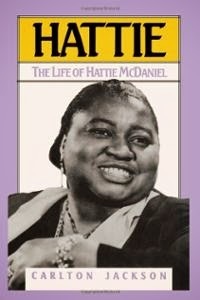 I'm ready to learn more about one of my favorite actresses. 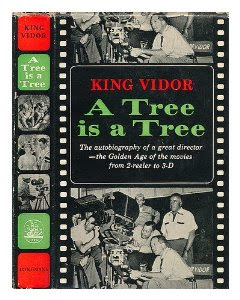 I picked up Vidor's autobiography in a London bookshop about six years ago. The man who sold it to me was wearing the longest cardigan I'd ever seen. Every time I look at the book, I think about it. Sure it looked cozy, but did it ever get in the way? Did he ever curl up in it for a midday nap? Anyway, I want to read the book so I'll have something to obsess over besides the sweater. Recommended to me by a Pinterest follower. That crowd seems to have great taste, so good enough. I got this for Christmas years ago, and enjoyed reading a few pages, but then I was forced to plow through a stack of library books before they were due. Why does everything I order always come at once, no matter where I am on the list when I reserve it? I love Basinger. She's going to be my priority this year. 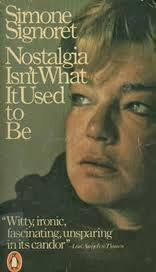 I'm reading this one first, as an appetizer to the new Signoret bio. coming out this year. Do you own any movie books that you've yet to read? Am I the only one hoarding them after looking at all the photos? Share in the comments! Fantastic list! 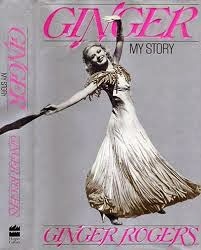 I love that Myrna Loy autobiography; one of my prized bios. Thanks! I'm glad to hear you treasure the Loy book. 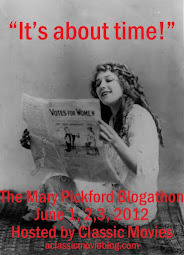 I still can't believe I haven't gotten to it yet--but it won't be long now! Wonderful! 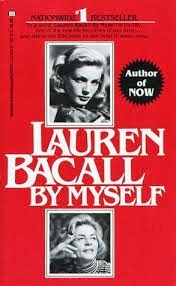 I got my copy of By Myself last Christmas, and I hope to read it soon. 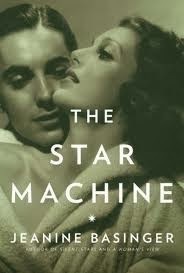 Before, I really want to read Frank Capra'a autobio, The Name Above the Title. I own several of these books myself, and like you I have yet to read them. The only one I've read is The Star Machine, which I absolutely loved. Looking forward to finding out what you think about these books! Lê --I'd also love to read the Capra book. I keep saying it, but I'll say it again--I wish I had another day in the week just for reading! MC--From what I've read so far of The Star Machine, I think I'm going to love it too, but I'm going to have to start all over again because it's been so long since I picked it up! That's a great list, as is your massive book collection listed on Pinterest. What a comprehensive library you have of all aspects of Classic Hollywood. Thanks! I am determined to read every book. Glad you enjoyed the PInterest board as well. I appreciate my library much more now that I have found a way to track everything I have.